In Paris, on the night of July 18, 1830, a 24-year-old novice of the Daughters of Charity was awakened by her guardian angel, who had taken the form of a beautiful child about 5 years old. The novice, who would later be known to us as Saint Catherine Labouré, heard the tiny angel softly say, "Come to the chapel; the Blessed Virgin is waiting for you." As they entered the chapel, Catherine saw that it was brilliantly lit with candles, as if for Midnight Mass. She was led into the sanctuary and knelt by a chair. Soon after, Our Lady entered and sat down in the chair. The angel told Catherine, "This is the Blessed Virgin." Our Lady spoke to Catherine, "My child, the good God wishes to entrust you with a mission." She pointed to the altar and said, "Come to the foot of the altar. Here favors will be shed on all who ask for them. Favors will be shed especially on those who ask for them" She then told Catherine that her mission would be made known to her in the future. Catherine's mission was revealed to her on November 27, 1830. While attending afternoon prayers, she was visited by the Virgin Mary again. Catherine learned that she was to introduce the medal of the Immaculate Conception to the World. On that glorious day, the Blessed Virgin appeared standing on a globe and holding another globe in her hands. Her fingers were covered with rings, some of which sparkled brilliantly and showered down rays of light on the globe beneath her feet. Catherine heard a voice say, "The ball you see represents the world . . . and each person in it. These rays symbolize the favors I shed upon those who ask for them. The jewels that give no rays symbolize the favors that are not given because they are not asked for." After a moment, the apparition changed. The Virgin Mary was now standing on a globe with a serpent beneath her feet. Her arms were outstretched. 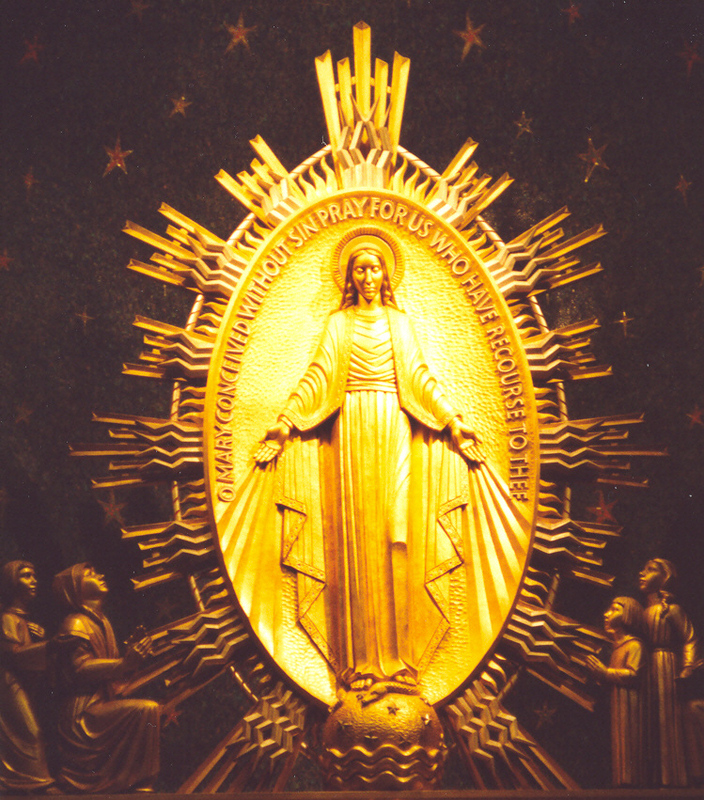 An oval shape framed the Blessed Virgin, and on it were written these words in gold: "O Mary, conceived without sin, pray for us who have recourse to thee." This was to be the front of the medal Mary desired to be made. Then, the vision revolved to reveal the reverse side of the medal. Catherine saw a cross with a bar at its feet that was intertwined with the letter "M." Beneath the letters were the hearts of Jesus and Mary, both surmounted by flames of love, one having a crown of thorns and the other pierced with a sword. Encircling all of this were 12 stars around the oval frame. Catherine heard the voice tell her, "Have a medal struck after this model. All who carry this medal will receive great favors. . . Favors will abound if this medal is worn with devotion." 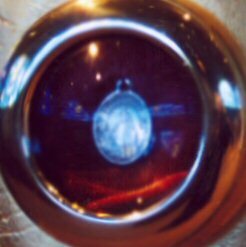 St. Catherine Labouré now knew that her mission was to ensure that this "Miraculous Medal" was made, and to spread our Blessed Mother's message of love and compassion for all God's people. O Virgin Mother of God, Mary Immaculate, we dedicate and consecrate ourselves to you under the title of Our Lady of the Miraculous Medal. May this Medal be for each one of us a sure sign of your affection for us and a constant reminder of our duties toward you. Ever while wearing it, may we be blessed by your loving protection and preserved in the grace of your Son, O most powerful Virgin, Mother of our Savior, keep us close to you every moment of our lives. Obtain for us, your children, the grace of a happy death; so that, in union with you, we may enjoy the bliss of heaven forever.